Both elitist and in tune with the times, playful and educational, luxury brand Gucci’s WeChat account has found the right tone to reach the Chinese in their own language, according to a specialist of cultural decoding who spoke at China Connect Paris. Currently, Gucci is one of the happy few Western brands that are growing in China, the world’s largest luxury market. The Italian brand owned by French group Kering is enjoying the fruits of its strategic choices, especially in terms of online marketing. Indeed, Gucci was one of the first luxury brands to open an account in 2013 on WeChat, the most popular Chinese social network. Bold and qualitative, its editorial line has attracted a large Chinese audience. « Gucci managed to create an interactive and engaging content », said Laurence Lim Dally, Managing Director of Cherry Blossoms Market Research & Consulting, specializing in cultural decoding and branding localization. Invited by Laure de Carayon, founder and CEO of China Connect, the gathering of experts on Chinese consumer trends, digital and mobile tech marketing held mid-March in Paris, she gave her insights about online trends in beauty and luxury brands in China. 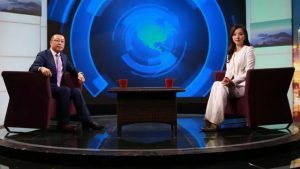 In terms of KOLs (Key Opinion Leaders), ambassadors or influencers, the key is to hire local celebrities, who speak in Chinese. These people have personal perspective and they use a lot of personal pictures, which also makes a difference. For example, Gucci’s ambassador, Chinese actress Nini (倪妮) wrote as a personal diary about a trip to Italy, with her own pictures. 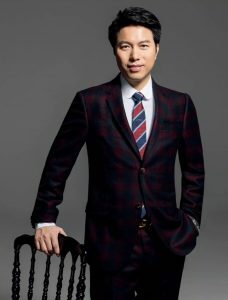 Gucci also asked four CEOs, including Dai Kebin (戴科彬), founder of China’s largest recruitment site Liepin.com (猎聘网), to talk about how to dress at work. They were invited to show their ‘ face A ‘, their overall appearance conveyed by their choice of suit, as well as their face B, the details of their outfit that allow them to express themselves more personally. « Gucci was pioneer, and many brands copied the idea », according to Laurence Lim Dally, who thinks that KOL’s are still interesting for brands if they “make it real”, – they are authentic. Another type of mediation is a culturally transposed content. 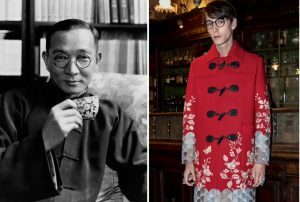 For example, to present a Gucci collection for men, they asked historians to draw comparisons between the brand’s designs and the Chinese dandyism in the Shanghai of the early 1920’s. 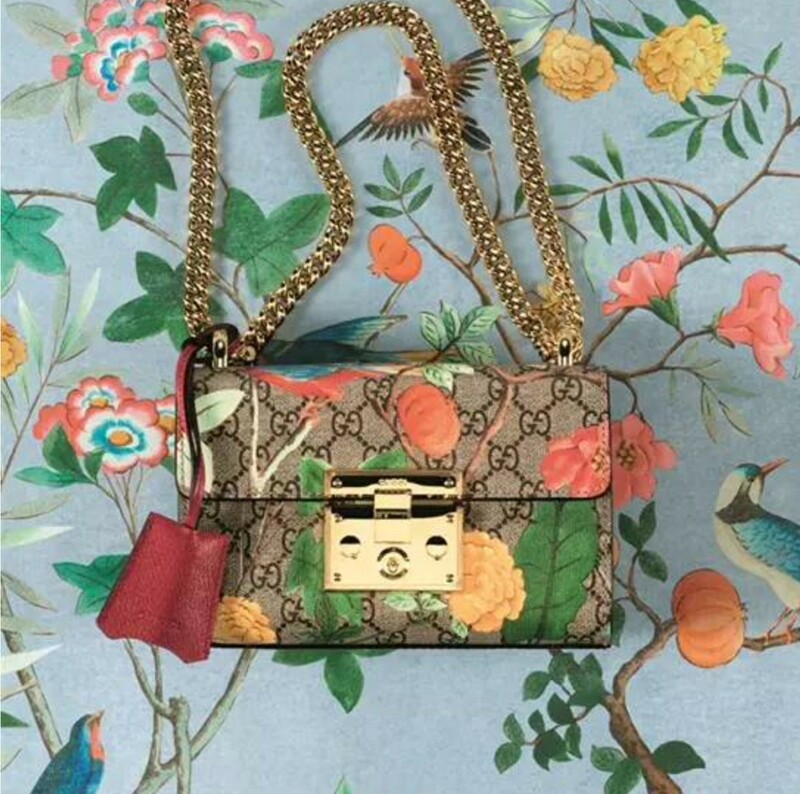 Earlier, an article was dedicated to Gucci’s artistic director Alessandro Michele’s Tian collection, inspired by Chinese traditional flowers and birds’ paintings of the 18th century (picture at the top, © Gucci – WeChat) . « It is a really unique way to pay tribute to Chinese creativity when we see so many brands more condescending about China », says Laurence Lim Dally. Many brands are now following this path, with various degrees of success. « This is another key challenge, which is often underestimated by brands: working on their “voice”, when addressing a Chinese audience in Chinese, insists Laurence Lim Dally. Their tone and rhetoric often remain commercial and indulge in superlatives. 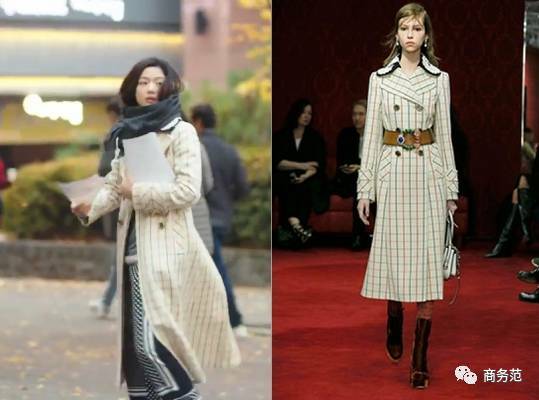 Another issue is that brands’ “voice” can also be distant and cold, instead of using more poetic, sophisticated and creative language, which the Chinese would expect from luxury brands. » China confronts them with a distorting mirror and forces them to reinvent a strong identity.